Shita Prativi is originally from Java and grew up in Jakarta. She graduated from the Law Faculty of the Catholic University of Parahyangan Bandung, West Java. Shita began her career as a volunteer with an organization that afforded support and education for homeless children. 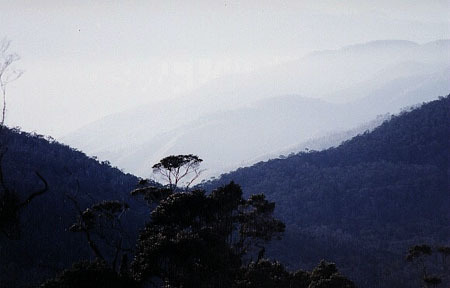 She pursued this work in Jakarta and Bandung for four years. In 2005, Shita joined Papua Bird Club, initially as Legal Advisor. Later, she made use of her NGO experience to develop education programmes for PBC. A significant proportion of her time is dedicated to teaching children in remote villages. During her time with PBC, Shita has enhanced her experience of leading and guiding wildlife tours. 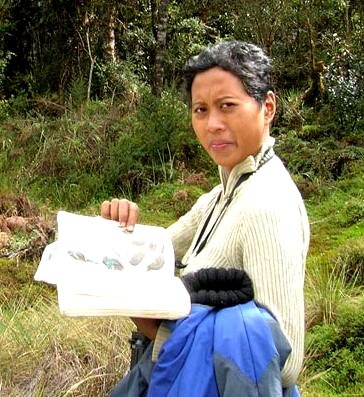 She has observed most species of Papua’s Birds of Paradise in the wild. With her late partner, Kris Tindige, she has also guided PBC tours in Sulawesi, Halmahera, Bali, and Komodo, and has thus gained valuable experience and knowledge in viewing and identification. Because of her commitment and friendly approach Shita is welcomed by indigenous village families, some of whom have recognized her contribution to their lives by giving her name to their new-born daughters. PBC uses independent local guides. These are expert people, community representatives, and true guardians of the forest. These local guides work independently, and we are therefore unable to guarantee their availability. Here are introductions to two of our most experienced and regularly used guides. Zeth is a native of the Hattam tribe, from the villages of Mokwam and nearby Syioubri in the Arfak Mountains. He is a self-trained bird guide, who has led bird watching tours in the Arfak Mountains since 1994. His profound and abundant knowledge of the wildlife of his home region has established his reputation as the most reliable and successful guide in the Arfak area. From him, the people of Mokwam have learned to appreciate the value of protecting the birds and the forest. 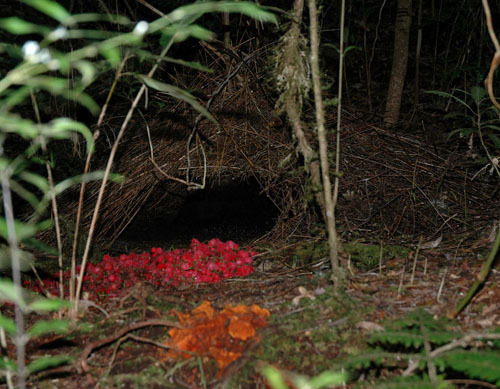 Zeth is intimately involved with the protection of the nesting location of the Vogelkop Bowerbird, and display sites for the Western Parotia. In addition, Zeth is a farmer, community leader and respected teacher at the local Sunday School. As the result of his work and his employment, he has been able to support his family, his community and his church. Such opportunities are extraordinarily rare for rural indigenous Papuans. Zeth and his wife Kristina, who is an excellent traditional cook, have three children of whom one has graduated from the Tourism College in Monado. Jamil is originally from East Java. He migrated to the Nimbokrang area (near Jayapura) more than 20 years ago. He is an enthusiastic bird guide and a skilled aviculturist. Years of observations of captive Lesser Birds of Paradise have given him a great understanding of the seasonal cycles and behaviour of this species. Jamil’s passion for birds has inspired others around him. A young indigenous land owner named Dance now works with him as a guide. 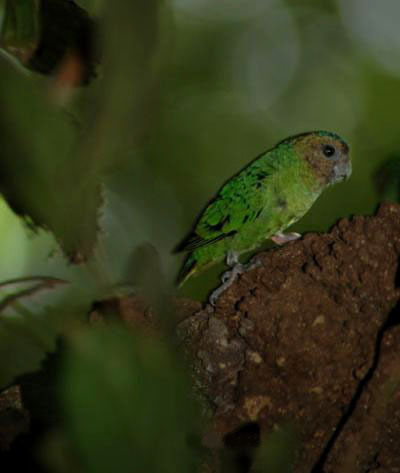 They provide a wealth of local knowledge and are experts at finding local species such as the Twelve-wired Bird of Paradise and the Buff-tailed Sicklebill. Bireun is a member of the Lani tribe from the Baliem Valley area of the Central Highlands. While working as a porter, Bireun learned how to prepare food and to present meals. He progressed his skills, became a respected cook, and has been working in that capacity for a period of around ten years. He is now considered to be one of the best expedition cooks in the Wamena area, and expedition members can anticipate camp fire meals that will compete in quality with those that may be served in restaurants in Wamena. He works with a group of trackers, leaders and guides, who are constantly increasing the range of their working activities, their locational knowledge, and their abilities in bird identification. PBC is happy to make use of Bireun and his small group, their multiple skills when working in the central region, and confident that their many talents will ensure satisfaction for any expedition for which they provide guidance. 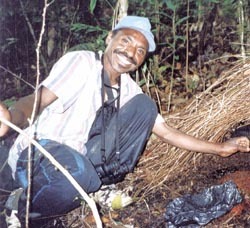 Kris founded the Papua Bird Club in 1996 and made his organization what it has become today. In doing so Kris became a respected name amongst rural communities in Papua and amongst birdwatchers, naturalists, conservationists and photographers worldwide. I just got the desperately sad news that, following his long battle against cancer, Samkris (known as Kris ) Tindige has died this morning. My friends and I were very privileged to have spent some time with him in his beloved West Papua last year, on what would be one of his last tours and experienced at first hand what a very special person he was. With an infectious smile and a great sense of humour, despite being in great pain, which was later diagnosed as the return of his cancer, he was a delight to be with and we enjoyed a lot of laughs during our short time together. My favourite story is when he visited the UK for the first time, without his trusty machete, and he said to himself "Right Kris, you are in the city now, you must try to survive!" Completely at home in the rainforests of West Papua it was funny to hear that he felt the same as us city-dwellers with the situation reversed !